Stainless steel wire spring pliers.Suitable for medium to large breed dogs. Bob Martin Double Action Spot On Solution for large dogs (10-25kg) is easy to use and has a specially developed formulation that acts quickly to kill fleas on your pet, and target flea larvae in the pet's immediate home surroundings. It is this Double Action that makes the product effective in protecting your pet from fleas. Effective and gentle - Bob Martin Double Action Spot On can be used on puppies from 8 weeks of age.Each treatment will protect your pet from fleas for up to 4 weeks. 3 tubes per pack, suitable for dogs between 10-25kg. The special Kong for puppies and small dogs is the ideal toy for hours of fun. The Puppy Kong also promotes the healthy development of teeth and gums and is beneficial for the mouth and jaw muscles. Sized for puppies Contributes to the healthy development of dentures and muscles Made from especially soft tooth-friendly rubber Kong Puppy Goodie Bone is also very suitable for dogs of smaller breeds. 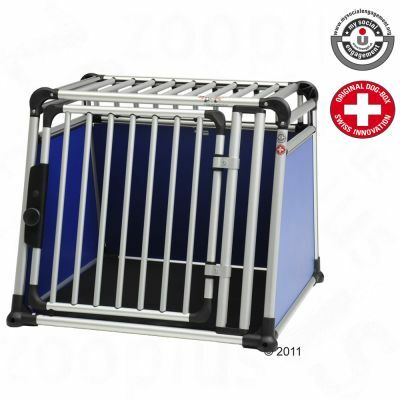 Size Small for dogs 1 - 10 kg Size ca. H 4.8 x W 13 x D 3 cm Please note As with all products your pet should be supervised when playing. Please check the toy regularly for damage and replace it if damaged or if parts are missing as there may be a possibility of injury to your pet.